INSCAPE is a new meditation studio that taps into your senses during your session at its Flatiron location as well as on the app that you can download. The former founder and CEO of Intermix, Khajak Keledjian, had his company acquired by Gap for $130 million dollars. Although he's quite active as he has invested in compaines that include Proenza Schouler, Flywheel, We Work, Aloha and more - meditation has been his way of finding happiness from within and his aim is to extend his love of various yoga and meditation practices that he has given his fashion friends over the years to the masses. 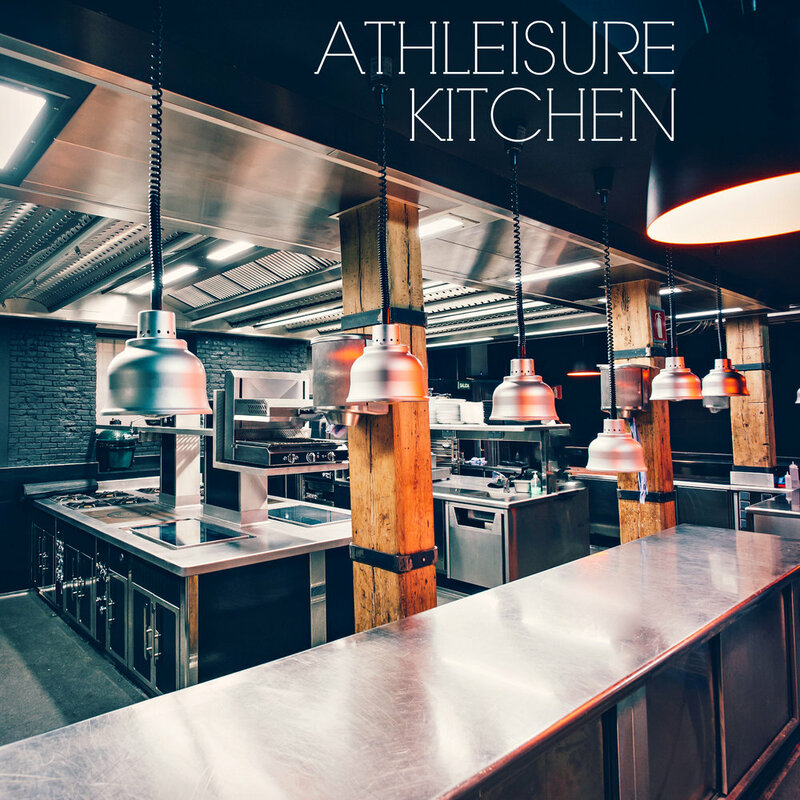 ATHLEISURE MAG: Why did you choose NYC as your first studio space? KHAJAK KELEDIJAN: The first INSCAPE studio is in NYC because I live here, and I know first-hand the noise and over-stimulation that comes from an urban center like Manhattan. Also, this city is a true melting pot. Where else can you have so many different variables – lifestyle, age, occupation, income, background, schedule – in one place? If we can reimagine meditation here, and create a cohesive community and bring together like-minded individuals in an anonymous city like New York, we can do it anywhere. AM: Who designed the space? How did the collaboration come about? KK: Winka Dubbeldam designed the space. We first met when I was at Intermix about 10 years ago. A year and a half ago, I called her to ask if she knew any designers who would be interested in this project. I thought it was too small for her, but she was actually inspired by the idea. Turns out we have parallel interests in yoga and meditation – Winka’s been meditating since her early 20’s. She naturally recognized the interplay between aesthetics and meditation. We designed the space together, thoughtfully. Working with someone who authentically understands not only the design you’re imagining, but its essence, is invaluable. AM: What is the meaning behind the name INSCAPE? KK: I want people to focus inwardly which is why I called it Inscape. I wanted to create a space that was safe, grounded, calming and a place that members could come to anytime. AM: Describe the studio. What’s unique about the studio? Why did you focus so much on the physical environment? KK: Our intentionally designed 5,000 square-foot studio is a quiet space away from the distractions of everyday life, offering fully immersive group experiences for meditation and relaxation. The studio is an experience, not just a destination, and incorporates elements that address all sensory touch points - sight, sound, smell, temperature, light and taste. Sound, light and temperature need to be precisely balanced (they can make you feel safe and enveloped like you’re in a womb) without distracting from the concept and feel of the space. AM: What is the layout? What are the separate areas like? KK:The Studio – we’ve created a transitional space to just “be.” You can read, meditate, sit reflectively. On one hand, the area has no Wi-Fi, encouraging a tech timeout. On the other hand, we’ve created an interactive art installation that might inspire some selfies to capture that feeling of awareness and clarity when you finish a session … so you can remember it when you look back at the image. The Dome – The room is circular to symbolize wholeness, lifecycles, togetherness, equality. The dome has a woven ceiling like ancient temples in India, a dreamcatcher, a mandala – like all of INSCAPE, meditators can interpret how they see it. The Alcove – This area is inspired by the philosophies of Burning Man – self-expression and inclusion. It will transform seasonally to represent how we are also constantly changing. AM: Who are your teachers? KK: We’re reimagining meditation: we’re merging traditions with modern thinking & technology to create a new experience that's focused on the meditator. Our work with teachers was completed prior to the sessions in our content development process. Our content was highly researched and tested in order to create our optimized experience. The sessions are audio-guided, rather than a teacher, so that everyone is an active participate in their own personal experience. We’ve created a neutral space where our facilitators empower the meditator to build their skills. By delivering our content via audio guidance, we bring a level of consistency otherwise impossible, since so many classes can vary based on which instructor is leading. Additionally, this innovative approach allows us to further marry our app and studio experiences.